Vanezza Bazzini, is from Houston Texas and moved to Austin in 2008. She is a UT graduate with a bachelors in advertising with a focus on brand management and Social Media communication. She is a small business owner of Vanezza Bazzini Photography as a professional portrait photographer. She is wife to her bible school sweet heart and mother of two young girls. When she is not working on photo sessions, she is serving at her church, exploring outdoor activities in Austin such as kayaking and hiking, participating in social events with friends, reading books, and discovering new restaurants in the Austin area. Shelby markets for companies she believes in. By using grass roots tactics, such as social media and personal outreach, she has taken part in increasing sales, growing followings, booking out salons, and spreading engagement locally as well as nationally. Shelby helps small, eager businesses grow to their full potential. She learns the ins and outs of each of her clients, and creates a personalized plan to help them reach their greatest goals. As a Certified Christian Life Purpose and Wellness Coach, Crystal Breaux owns her own business, He Designed You. She is a speaker and personal coach, who guides women to discover their life purpose, get healthy and manage their time to fulfill what God has called them to do. Her passion is to help women, no matter what season of life, manage their time and get healthy on the inside and out so they are ready to do what God has designed them to do. She offers one on one coaching and workshops. Encourager of women, truth-teller, wordsmith, fashion/make-up guru, and Bible nerd are all accurate depictions of Deanna. A native Austinite, Deanna started her career in makeup working for Smashbox Cosmetics as Lead Makeup Artist. From there, she has gone to managing a high end retail boutiques to now working as Director of Client Services and Image Consultant for Something More LLC. Although Deanna has a passion for fashion, her true calling is being a Daughter of God and encouraging sisters in the Kingdom to walk out their God-given purpose. Throughout the Bible, God used women to birth reformation, revolutions, and revelations. Deanna’s calling in ministry is to birth a union similar to this, to continue God’s work by bringing healing, identity and building unity. 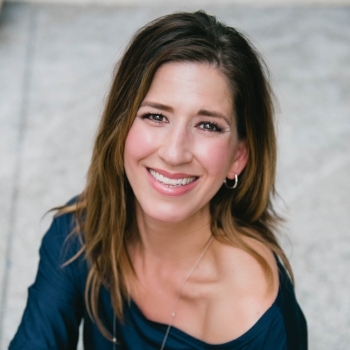 Deanna attended Texas State University and is currently enrolled in seminary at Austin Graduate School of Theology. Mariah enjoys living life to the fullest and making memories, she has a dog named Lily and she loves to take her on hikes, to the lake, and the dog park. Mariah enjoys being outside, working out, meeting new friends, cooking for her friends and family, and trying out new Austin restaurants. Mariah works in the financial planning field so she spends a lot of time organizing people’s assets and helping them gain clarity on their financial goals. Mariah truly believes that she is called by God to give back and help others. Her main focus is to bring value to peoples lives and her goal is to impact as many lives as she can. She truly believes God has an amazing plan for her and she will always follow the path He leads for her. Sophie is an Austin transplant born and married into a military family. She herself is an Army veteran that now serves her local Church alongside her husband and young son. She has a passion for connecting people and sharing the love of Christ. She believes in the power of community and desires to encourage women through all stages of life. Kate is a work-at-home Austin based Interior Designer turned #beautyboss with the cosmetics powerhouse SeneGence/LipSense. She is wife to Chris and momma to two young girls, Ava and Alli. Kate grew up in Bryan/College Station, where she had a strong upbringing in the Episcopal church and thoroughly enjoyed being an active youth group member. She then attended design school at the University of North Texas and moved to Austin after graduation in 2005. After 12 years in the design industry, she decided to change things up a bit and aspired to lead a team of women to be their best daily, while enhancing natural beauty and #girlboss instincts through cosmetics and skin care. My name is Maryna Marston and I am an award winning photographer based in Austin, TX. I was born in Ukraine into a greek-polish-ukrainian family, I am a Brit and I live in America. I worked on numerous projects, winning several prestigious certificates of excellence awards, judges choice ribbons, distinguished print awards and trophies. Photography is my passion, it is not something I do – but something I feel, live and dream!!! I am a huge fashion fan and when I am not shooting the fashion weeks in New York, Austin or overseas, creating a look-book or working with a magazine or a designer to bring their collection to life, I shoot Products and Executive Portraits. I like to experiment with what I am given and enjoy the process of creativity. Martha Bush grew up on a farm in Donalsonville, Georgia. She graduated from Valdosta State College, Valdosta, Georgia, with a BS degree in Business Education. After graduating from college, Martha began her teaching career that spanned grades 5-12 in both public and Christian schools. She also taught adult vocational courses in the Atlanta school system.Her love for teaching led her into areas outside the school system as she began teaching Bible study courses in jails, prisons, and at her local church. Through her years of teaching, as well as being an avid reader of human behavior and grief counseling from noted Christian psychologists, she recognized how a team effort can help build a foundation in children at an early age that will enable them to cope with the losses in their lives. She believes this team, made of up parents, grandparents, educators, and spiritual leaders, can guide a child to healing from losses he or she might experience. They can do this simply by recognizing his pain, listening to his pain and then teaching the child how to apply the principles of God’s Word to his hurting heart. This led her to write Helping Hurting Children: A Journey of Healing.Martha resides in Orange, Texas, with her husband, Glen. They are the parents of two grown daughters, Crystal and Heather, who have blessed them with three beautiful grandchildren. Her hobbies include: reading, walking, visiting with friends, and playing with her grandchildren. Gena is woman who has a heart for serving the Lord through teaching and writing about his word, and how he works in her life. She believes his word is true and that God has called her to teach others the lessons he is teaching her. Gena has a passion for helping women to see their unique identity as a daughter of the king, and finding their purpose, the one he created them for. As a nurse and fitness enthusiast, she loves to encourage other women to seek health and wellness, which she believes cannot be done without a relationship with the one who created you. When she is not writing, working, or working out, she enjoys time with her husband Michael, two children Jocelyn and Luke, and their three dogs. Minerva is a born and raised Austin woman. She graduated from Texas State University and lives locally with her husband and two daughters. Her professional experience is within the education field. She currently is in ecommerce which she loves due to the flexibility it allows to devote more time to her family. Her passions are God, women’s ministry, special needs parenting, fashion, and psychology. The best way that she expresses those passions is through writing. In addition to her passions she thoroughly enjoys inspiring, encouraging, and motivating women to be the best version of themselves. Natalya believes the best things in life come little by little, brick by brick on prayer layered over another embracing trials, setbacks, and the unfamiliar. A wife, mother of two, and makes a mean charcuterie board, Natalya finds strength in the most inspiring words ever written, the Bible, & gathering around the table with her girl tribe. She’s a big believer that stories + table = butter for the mind, spirit and soul. Her motto is: Everyone has a story to tell and it's different from any other on this planet - start where you are, use what you have, and submerge yourself in the confidence of Christ. I have a passion for education and helping people understand their bodies and life circumstances a little more. I lead from a place of compassion and collective effort to make this world a better place. Daisy Marino was born deep in the heart of Texas, and grew up in a community that instilled within her a love of Blue Bell ice-cream, Friday night lights, and of course Jesus. She attended Lamar University where she met and later married her husband Frank. Together they spend their days raising their two children Maverick and Maggie, working hard, and sharing their love for Jesus with others. Daisy is an educator, a friend, a red-lipstick wearer, a journal-writer, and an avid Sunday afternoon nap-taker. She strives to leave a little “ray of sunshine" wherever she goes. Sarah’s love for textures, colors, fabrics and all things style started at a young age and quickly became a passion. She received a Bachelors degree from Texas State University, majoring in Fashion Merchandising with a minor in Business Administration. With an eye for style, she is intrigued by everyday fashion and finds happiness through constantly re-decorating her home. She believes laughing is one of the best parts of life and has learned to bloom where she is planted. Sarah recently married her high school sweetheart Phillip, and currently lives in San Antonio, Texas. Wife, Mom, and Texas State University graduate Julie Fox is a rare combination of Glam and Nerd. She holds a degree in Computer Science and spends her days running her web development business and coding websites in her pajamas. But watch out world…There’s so much more to Mrs. Fox! Julie loves anything sparkly and has an underlying creativity that causes her to see the world from a very special point of view. Everywhere she looks she is getting creative inspiration for website designs, marketing strategies, fashion statements, photo ops, model poses, fashion shoot settings, and of course…. makeup ideas! Julie came on board with Created Magazine as an assistant MUA but has evolved into playing many roles including: makeup artist and backstage photographer during Editorial Photoshoots, to helping with marketing materials, and even working on CW’s digital magazine. She has a passion for inspiring confidence in women and teen girls, specifically through teaching about makeup and skin-care. She loves working with the Youth Group at her church and volunteering her makeup artistry services to organizations such as Austin Fairy Godmother. Julie is incredibly grateful that God has led her to the amazing circle of women involved in the Created Woman Foundation. Cheryl Luke has inspired and captured the hearts of men and women for more than 25 years with her dynamic speaking style. Through years of experience, Cheryl has developed a gift for understanding people in their specific phase of life. She is extremely passionate to see people connect with their God-given purposes and destinies, challenging them to leave behind their past and allow God to weave in them a beautiful life-story. Her warmth and wisdom resonate as she delivers God’s message of redemption, restoration, and love. Cheryl attended Oral Roberts University, and is an Executive Pastor at Shoreline Church, in Austin, Texas. She oversees Women’s Ministry, Hospitality, Assimilation, Logistics, Pastoral Care, Outreach Ministries, is involved in teaching, curriculum and leadership development, and team building. She is also responsible for SHINE, Shoreline’s annual women’s conference, which is in its twelfth year. Lynn Marie Cherry is an author and speaker dedicated to inspiring hope and shining a light on the path to freedom. In whatever shoes you prefer—flip-flops, heels, or rubber rain boots—you'll learn how to take a step forward today. Lynn and her husband David have been married for a quarter of a century. The challenges they've faced in their relationship are not wasted as they encourage others to do the work of growing and changing. They have two boys.